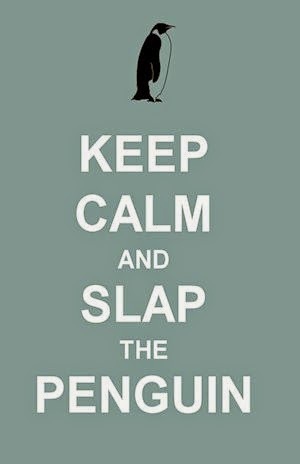 Slap The Penguin: Are you ready for the next Apocalypse? I know the zombie apocalypse is coming because everyone is preparing for it. 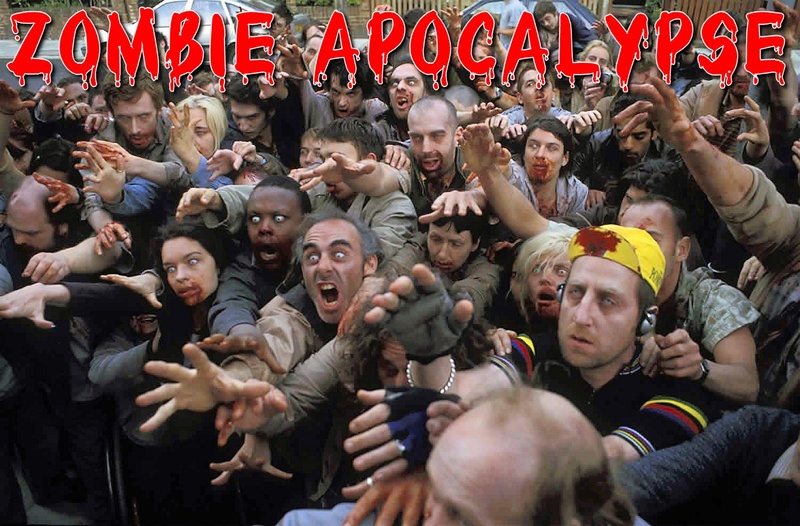 Many governments across the globe have a 'Plan Z' in place to deal with the undead. Just less than a year ago, a guy in Miami was shot numerous times by police after he was caught eating another man's face, while 'tripping off his box' on bath salts. 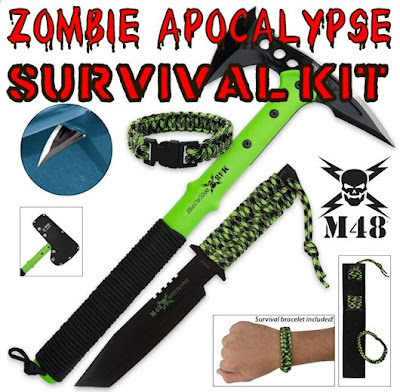 Last week a catalog turned up in my mail box from a company called BUDK.com offering the latest zombie survival gear. There is another impending apocalypse that is equally menacing but somewhat easier to defeat. Like the zombies, nobody knows exactly where they came from. Like the zombies they spawn when least expected and move around in large groups. Like the zombies they don't have the first clue about self preservation and keep coming at you even under the deadliest defensive fire. However, unlike zombies, they wear a knotted handkerchief on their head and have their pant legs rolled up, exposing their rubber boots. Beware of the Gumby Apocalypse. 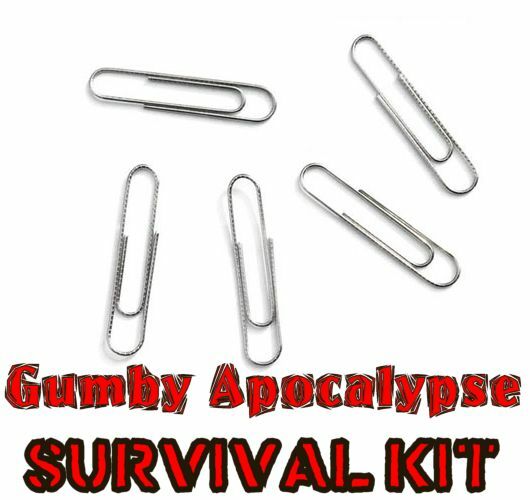 The Gumby survival kit is somewhat simpler, less expensive and less likely to get you arrested for carrying it around during non-apocalyptic periods. Thanks to our friends at BUDK.com for prompting and inspiring us to write this mini survival guide.